This morning we were invited to be on the midday news with Kolo 8 NewsNow. It was a nice little interview and they’re great people. Give it a look. Then, hop over to the Raffle page and purchase some tickets. We’d really appreciate your support. Dinner and a Show added to the Raffle! We have another addition to the Raffle. The Eldorado family has donated a dinner and show package for 4. 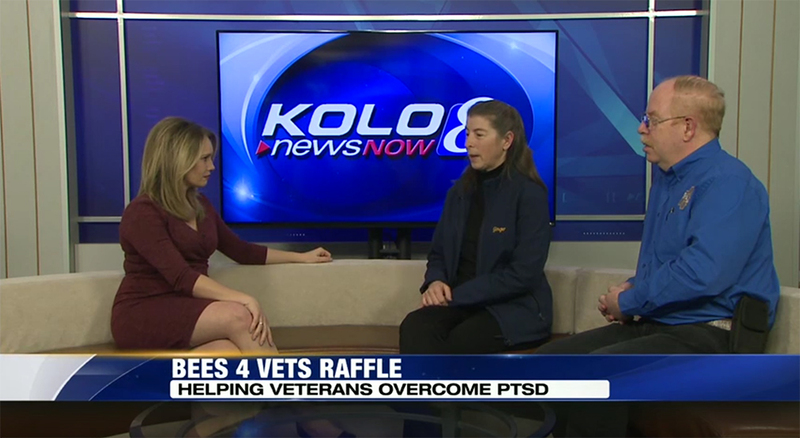 Our thanks to the Carano family and the Eldorado Resorts’ The Row for their donation and support of Bees4Vets. This prize will be included in our Raffle drawing coming up soon. Tickets are being sold now, don’t miss out on your chance. You can purchase tickets from any director or officer of Bees4Vets or from our web site via PayPal. You may also send us a check and one of our directors will be at the Riverside Farmer’s Farmer’s Market at the McKinley Arts Center, Saturday mornings from now until our drawing. Don’t miss out, get your tickets NOW! We have another prize in the Raffle! We have GREAT news! Another prize has been donated to the Bees4Vets Raffle! It is a TREK Marlin 5 Mountain Bike, 18.5″, Black with an Aluminum Frame, SR Suntour 100mm travel front fork and Shimano hydraulic disc brakes front and rear, from Ray Fenwick Valued at $539.00. This is a really nice bike in the most common size. Delivery will be in person in the Reno area, we do not have a way to ship the bike, but you are welcome to come and pick it up. Bees4Vets is not sponsored by TREK.